Situated in the shadows of the famous Vila Olímpica Twin Towers, this stylish three-bedroom apartment in Barcelona, offers guests a quieter retreat than to be found in the bustling city center. With the beautiful beach just a short walk away, and easy access to the city center, guests will enjoy all that the Catalan capital has to offer. Perfect for larger groups heading to the Mediterranean, this apartment can accommodate up to seven people. This lovely apartment enjoys a modern yet comfortable feel. The elegant living room is furnished with comfortable sofas, one being a double sofa bed, and a TV. An Internet connection is also available, making it easy to stay in touch with friends and family back home. The fully-equipped kitchen allows guests the opportunity to create their favorite recipes, all in the comfort of this ideal home-away-from-home. Two of the spacious bedrooms are furnished with double beds, while the third room has two single beds. Ample storage space ensures an easy transition into this idyllic residence. The apartment has two bathrooms, both fitted with bathtub/showers. 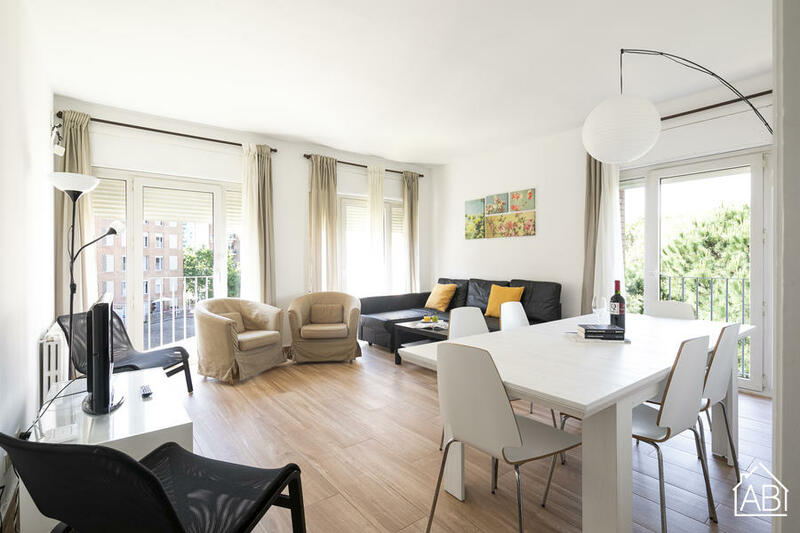 Located in close proximity to some of the most recognized sites in the city, this charming apartment, complete with central heating and heaters, ensures a comfortable stay during your trip to the Catalan capital, all-year round! Please note: This apartment is only available to adults over 35 years old and families. Parties in the apartment are prohibited and we kindly ask all guests to respect the neighbours by not making excessive noise after 10pm. This is a non-smoking flat.